One of Boystown's local pains in the arse stepped in a pile of trouble downtown last week. 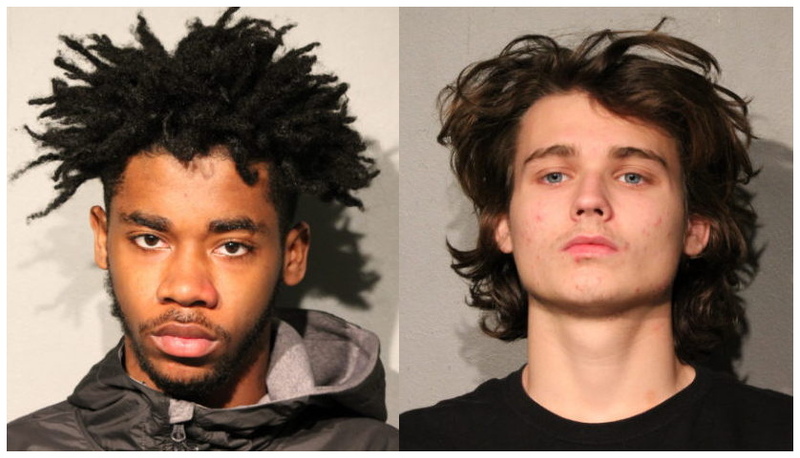 Donovan Mylander—banned from the Center on Halsted due to his conduct at the LGBTQ service agency—is now charged with trying to rob a businessman on State Street. Authorities say Mylander, 19, and 23-year-old Donovan Daffin approached their would-be victim from behind in the 500 block of North State Street around 3:30 p.m. on December 20. Despite the threats, the man backed away, causing Mylander and Daffin to run off, “lunging and pushing others” as they ran toward the Chicago River, police said. Cops caught up with the duo about 15 minutes later on the State Street Bridge. Mylander of the West Loop and Daffin of the South Shore neighborhood are both charged with attempted robbery. Daffin will be released on a $50,000 iBond and electronic monitoring. Mylander was declined acceptance into electronic monitoring. His bail is set at $50,000. Mylander was arrested at the Center on Halsted, 3656 North Halsted, during June’s Pride Fest celebration. Witnesses told police that Mylander pushed an employee and refused to leave the premises. He was arrested and charged. The Center did not send anyone to Mylander’s court date, forcing the state to drop charges. Daffin was arrested in a separate incident during September in Boystown. Charges of obstructing police, disorderly conduct, and riding his skateboard in the street were later dropped.